Almost all the books I’ve read, or am planning to read, of late, have been made into movies or TV shows. Hollywood certainly knows how to capitalize on a good story, however there are several that I believe are missed opportunities, and are perfect for adaption! Being a Beauty and the Beast retelling, this ought to be snapped up by a filmmaking company. Fairytale retellings are doing extraordinarily well of late (just look at Disney’s list of upcoming adaptations, and the success of Once Upon A Time) and this novel is a packed full of faeries, curses and murders – what more could you want?! I’m cheating here slightly, as it was announced that the BBC are going to make a TV adaption of this, which I expect will hit the small screen in late 2015/early 2016. I’m really excited as it was one of my top two reads last year! I love detective stories, and the fact that a woman features so prominently is brilliant. Think ‘The Hunger Games’ meets ‘Game of Thrones’ and you have ‘Throne of Glass’. There are trials (albeit basic in comparison to Hunger Games), deception and faerie powers, along with some amazing characters. This whole series (there will eventually be six novels) would make great films. This novel would make such a great suspense thriller. It might be difficult to translate to screen, since it is told from the perspectives of three women, but with good flashbacks, it should make for an exciting movie. It would have been so great if every Jack Reacher novel had been made into a film. It’d certainly keep Tom Cruise busy for a while. I absolutely loved the plot of the novel, and I think it would translate beautifully to screen – either feature films, or as a mini-series per novel. It has always bothered me that they only adapted the first Alex Rider book, ‘Stormbreaker’, but didn’t progress with it. Possibly it would have done better as a children’s mini TV-series, but I love this book and I think it would be great to watch a visual representation. This would translate so well to a serial drama (in fact the whole series of books would). There is so much tension in the books, that it would be amazing on screen. I also love the character development, especially Sephy, Callum and Jude. This story was mindblowing – I absolutely didn’t guess the plot twist. I think it would be amazing on screen, but it would (in practice) probably be difficult to not reveal the secret. If done right, I’d envisage a cinema-wide gasp at its conclusion. I think this book is rife for adaption to a children’s TV series. It is exactly the kind of novel that would have been adapted ten years ago (as in, in my day!) Jacqueline Wilson and Jill Murphy books were prime examples. Odd as it might sound, I would actually watch it. I love that kind of cheese. Despite not liking the book, ‘The Fault In Our Stars’ was adapted from page to big-screen incredibly well, and I’ll certainly be watching ‘Paper Towns’ when that’s released later this summer, so I see ‘Looking For Alaska’ doing just as well. The story itself has a great premise, and I think watching that journey on screen would be harrowing. I completely forgot about A Court of Thorns and Roses when writing my TTT! Dang it! 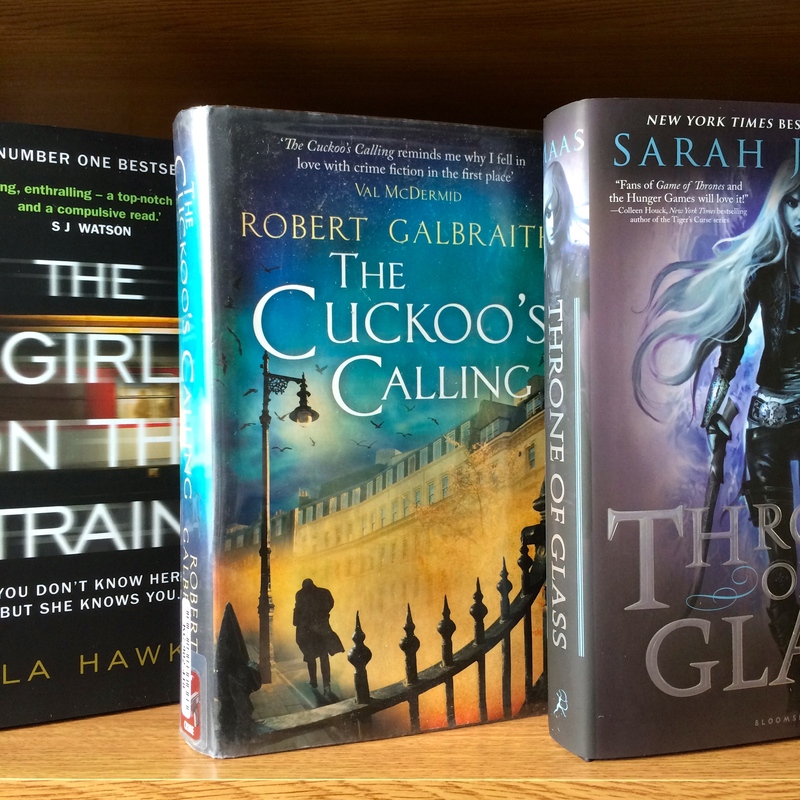 Throne of Glass is on just about every list this week! I need to read it. It must be great! Why don’t you like The Fault in our Stars? It wasn’t a complete novel – I didn’t connect all that much with the characters (and like all JG books, there wasn’t much character development). I understand that I’m in the minority of people who hold that opinion.